Every day caravans leave from the Edge of the World that take travellers to the Lands of Dream. The caravans are free, but there are other costs the traveller must consider; not least of all the cost of spending so much time away from the obligations of our world. We have done our best to bring something of the Lands of Dream into your lives: by opening a window to the House at Desert Bridge, by setting down a tale of the Book of Living Magic – and even now we are preparing to tell you the troll’s tale known as Ithaca of the Clouds. But now, unfortunately, the costs of travelling so often to the Lands of Dream have caught up with us, and we are in need of assistance. However, we do not wish to simply beg (again), and so we have concocted the following plan. NOTE: This is currently on hold until we catch up with the existing orders. If you don’t mind waiting a long time, you can donate anyway. When we asked for donations for what was then simply the untitled Troll Game, we didn’t know it would turn into quite the massive project it has turned into, considerably delaying the donators’ pleasure at seeing themselves in the game. So we’d like to offer you something else, something more direct, in exchange for your support. For each 10$ donation we receive, we will seek, examine and describe a creature, plant or location from/in the Lands of Dream. The images will be in the style of our upcoming children’s book – i.e. like The Book of Living Magic, but much smoother. The text… well, you know what the Lands of Dream are like. For slightly bigger donations (25$), we will even frame the image and send it to you. Yes we will. In all cases the image and text will also be posted here, and later perhaps on a separate website. 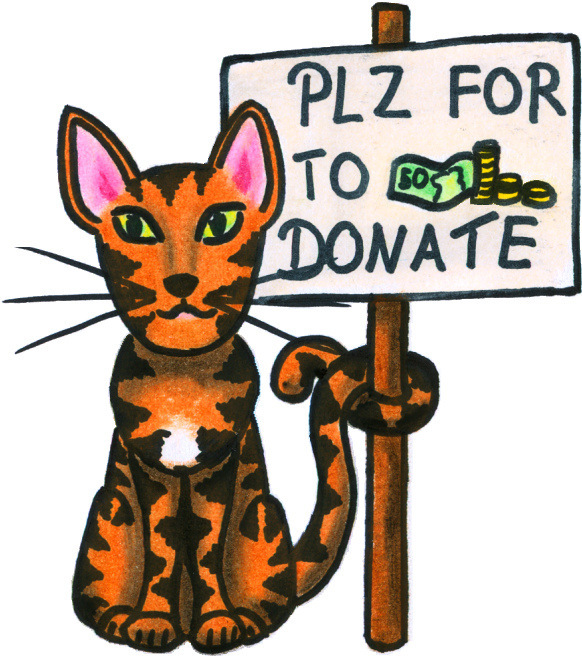 Unless you want to donate anonymously, this will also include a link to your website and a thank-you. If your regular email and your PayPal email don’t match, make sure to let us know! Think of it like this: you can help support two people who are doing everything they can to create unique and interesting stories in many artforms, and at the same time help create a compendium of the weird and wonderful creatures of the Lands of Dream.